While the Sun is an often under-appreciated source of free light and heat, too much of it can cause modern day inconveniences and obstacles. Architects commissioned to design buildings in Abu Dhabi are well aware of this fact as the unforgiving, constantly pounding triple-digit temperatures shower the capital of the United Arab Emirates for half of the year. 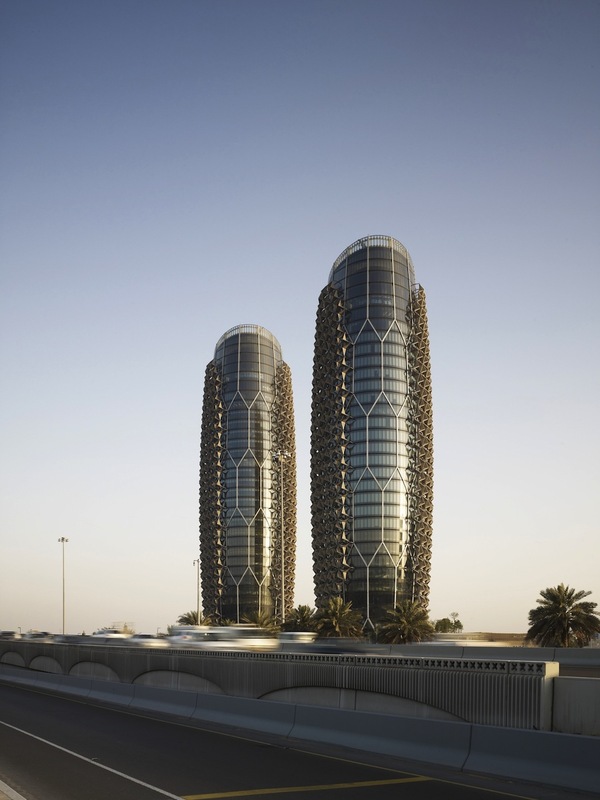 Challenged to design two skyscrapers that could energetically handle the heat while still letting in ample light, architectural firm Aedas has devised a clever façade for the Al Bahr Towers that is designed to be both culturally relevant and energy efficient. Each rising 25 stories tall, the Al Bahr Towers house the formal headquarters of the Abu Dhabi Investment Council and the Al Hilal Bank. Both towers are wrapped in a honeycomb-patterned skin composed of 2,098 separate shades that fold and expand according to the time of day, effectively mediating the amount of sun allowed into the building. The unique geometric pattern was both bio-inspired and chosen to resembles a pattern culturally abundant in the region. 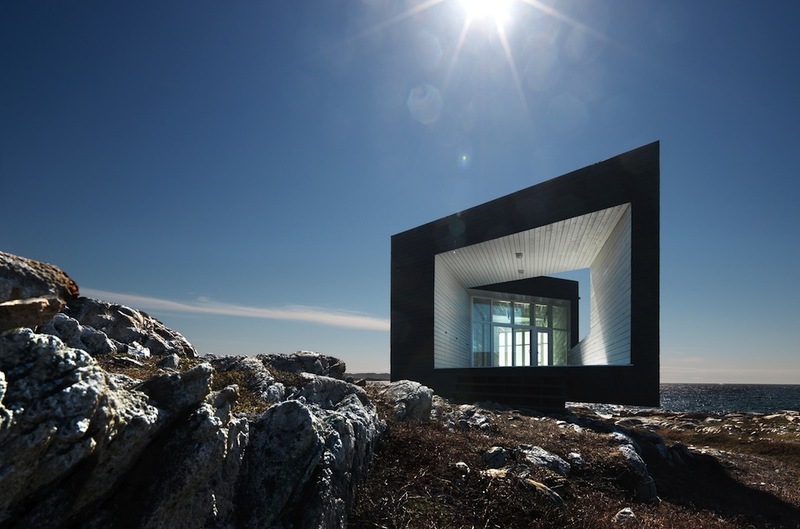 But the structures also have a quantitative environmental effect: they reduce glare, solar gain, and energy consumption by simply functioning as mechanical shades for the windows. The shades are each individually controlled by linear actuators that are programmed to react to the sun as it sweeps across the sky. Throughout the day as the sun bends around the buildings, each shade flattens out to block out much of the incoming heat and light. Because normal windows can be used instead of heavily treated ones, the need for artificial light is significantly reduced while solar gain is also reduced by 50%. At night, all of the shades fold up to resemble the mashrabiya – a patterned wooden lattice characteristic of Arabic architecture. On top of a unique, culturally relevant façade and an innovative design to conserve energy, Aedas has incorporated PV cells on the roofs of the towers to powers the mechanical shades. Ample green spaces complete the sustainable design with drought-resistant plants and flowers surrounding the exterior ground level. The project was completed in June 2012, and was the first in the Gulf to be awarded the Leadership in Energy and Environmental Design (LEED) Silver rating.